Makenna Lee David was born on April 4, 1997, to Sheila and Greg David in Lexington, Kentucky. Makenna was a wonderful child, full of life, love and energy. She enjoyed playing with her sister and brother, Kelli and Dayne, and brought joy to everyone. In December 1997, at 8 months old, Makenna suffered a series of strokes and spent several weeks in the hospital. Medical experts from around the country informed the David family that their precious baby would likely not survive and if she did, she would never be able to care for herself. However, Makenna proved them wrong and made a recovery. She was back home with her family the Saturday before Christmas. In August 1998, Makenna began experiencing breathing difficulties. In early November in search of a diagnosis, Makenna and her parents traveled to Houston. While she was a patient at Texas Children’s Hospital, Makenna visited a three-dimensional wall that proved to be a welcome distraction for her and the other young patients. Makenna found the wall’s brightly colored tiles captivating and fell in love with them. After returning home in late November, Makenna was diagnosed with pulmonary veno-occlusive disease, a rare lung disorder. At the time of her diagnosis there had only been 125 similar cases and all had been fatal. On December 4, 1998, Makenna died—four months shy of her second birthday. Although they were devastated at her loss, Sheila and Greg David remembered Makenna’s love for the tile wall in Texas. They wanted to build a similar wall of color and happiness in Kentucky, in Makenna’s memory. With the help of friends, they established the Makenna Foundation. In September 2001, Janice Mueller, owner of RE/MAX Creative Realty, presented Sheila and Greg David with corporation papers for the new foundation. The Davids’ dream of creating Makenna’s Wall became a reality when it was unveiled on August 1, 2003, at the Kentucky Children’s Hospital. This vibrant piece of artwork is a huge mural of cheerful tiles, painted by local schoolchildren. 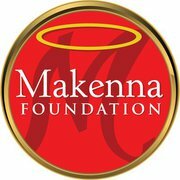 The Makenna Foundation has continued to grow and give to this wonderful hospital. A pediatric bronchoscope was purchased in 2003, and in 2004 funds from the Foundation helped to renovate the Children’s Sedation Suite. In 2006, the Junior League of Lexington renovated the Toddler Room in honor of the Makenna Foundation. The Makenna David Pediatric Emergency Center opened in 2010. Feel free to contact the Makenna Foundation for more information. August 2013 sees the return of the RE/MAX Month of Miracles, celebrating $123 million raised by thousands of RE/MAX Associates and offices since 1992. 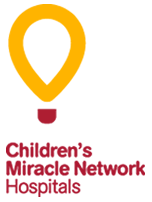 Those interested in buying or selling a home — and helping their local CMN Hospital in the process — can look for the Miracle Balloon logo when searching listings at www.remax.com. Kentucky Children’s Hospital is an integral part of UK HealthCare. The hospital provides unparalleled health care and pediatric services for thousands of children from central and eastern Kentucky. When the University of Kentucky College of Medicine began educating physicians in 1961, the Department of Pediatrics was an important part of the college from the start. In September 1995 construction began for a $10.6 million facility known as the University of Kentucky Children’s Hospital. The grand opening was Aug. 23, 1997. In 2005 the hospital was renamed to Kentucky Children’s Hospital. KCH has more than 70 pediatric specialists and 300 pediatric nurses working in 24 areas of health care for children. There are 66 Neonatal Intensive Care Unit (NICU) beds, 58 Level III beds for severely ill newborn care, 42 Acute Care, non-ICU rooms, 26 normal newborn nursery beds, 12 Pediatric Intensive Care Unit (PICU) beds, 8 Level II beds for intermediate newborn care, 7 Progressive Care beds, 4 sleep rooms for parents of children in the ICU, 3 consult rooms, 3 children’s playrooms, a Ronald McDonald family room open 24 hours a day, and the Makenna David Pediatric Emergency Center. The Makenna David Pediatric Emergency Center is the only 24-hour pediatric emergency and trauma care center in central and eastern Kentucky, and the only one in the state verified as a pediatric Level I trauma center by the American College of Surgeons Committee on Trauma. It offers all the advantages of UK’s world-class emergency department, with a separate entrance and child-friendly waiting and treatment areas. The Makenna David Pediatric Emergency Center opened its doors at 5 a.m. Friday, July 14, 2010. Michael Karpf, M.D., executive vice president for health affairs at UK, was there at 4:30 in the morning to greet the first two young patients at 4:50 a.m. By mid-afternoon the entire area was filled. Before the center opened, the nearest facility for children was in Cincinnati to the north, Knoxville to the south, Nashville in the west or Pittsburg in the east. The Makenna David Pediatric Emergency Center is one of the only dedicated children’s emergency centers. ”Dedicated” means that the waiting and treatment spaces for children are separate from the spaces used by adult patients, and they are designed just for kids. The caregivers in the Makenna David Pediatric Emergency Center are experts at working with children who need emergency care. In 2002, RE/MAX joined Susan G. Komen for the Cure in the fight against breast cancer. RE/MAX became a National Series Sponsor of the Susan G. Komen Race for the Cure® in 2009 after six years as co-sponsor of the Breast Cancer Survivor Recognition Program at each Race for the Cure in North America. The Canadian Breast Cancer Foundation is also a major beneficiary of RE/MAX fundraising efforts. You can support Susan G. Komen for the Cure through your home sale or purchase. RE/MAX agents who participate in the Home for the Cure® Program pledge to make a donation once your transaction is complete. RE/MAX believes in protecting the environmental well-being of the communities worldwide in which our real estate professionals work and live. 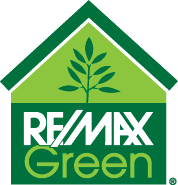 Agents who've become RE/MAX Green Specialists by earning an approved professional designation can show you ways to make your home greener and more energy-efficient, which also increase its appeal to buyers. RE/MAX World Headquarters has set a green example by minimizing its carbon footprint and earning an Energy Star rating of 100, as well as the LEED® Gold Certification for Existing Buildings. To become LEED (Leadership in Energy and Environmental Design) Certified, the company's 14-story building went through a rigorous program verifying its sustainability and efficiency. RE/MAX World Headquarters is one of 62 Colorado facilities certified under the Existing Building rating system and among 322 total LEED projects in the state.